Now you'll have the opportunity to test all of Montblanc's writing instruments. 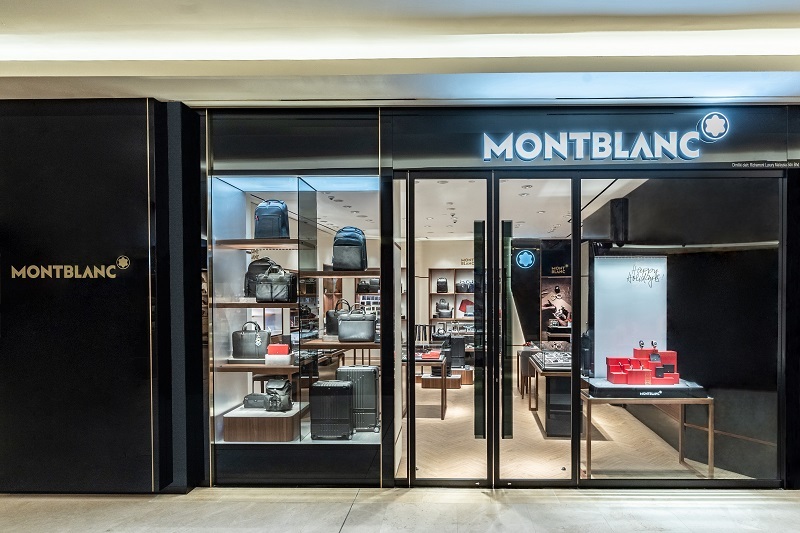 Fine European craftsmanship, a heritage of sophistication and the pursuit of innovation meet seamlessly at the new 654 sq ft Montblanc boutique in The Gardens Mall, Kuala Lumpur, where connoisseurs and new generations of customers can explore the maison’s masterpieces on their own terms in a sophisticated, uncomplicated setting. Building upon the brand’s reputation as the Maison of Fine Lifetime Companions, the boutique epitomises French-born designer of objects and spaces Noé Duchaufour-Lawrance’s interpretation of the Montblanc boutique, playing with the dichotomy of mineral hardness and the ultra-soft lines of organic materials for furniture and lines. A sleek combination of contemporary design and classic elegance is achieved by mixing black, white and textures of wood, resulting in an ideal space to discover the heart of the Montblanc universe. 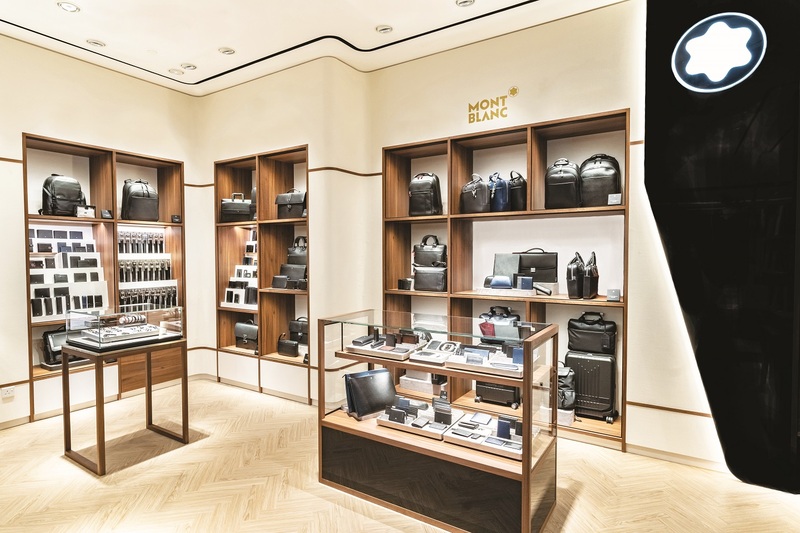 Revealing its collections in displays that enhance the fine qualities of each piece, the concept of each Montblanc boutique revolves around its pioneering principles of retail, stemming from the first boutique that opened in the brand’s home city of Hamburg, Germany, in 1919. The new boutique on the ground floor of The Gardens Mall evokes this unmistakable essence. The retail experience includes a Manufacture Bar, where customers can engage with product experts and where those who want to enjoy the pleasure of writing will have the opportunity to test all types of writing instruments. 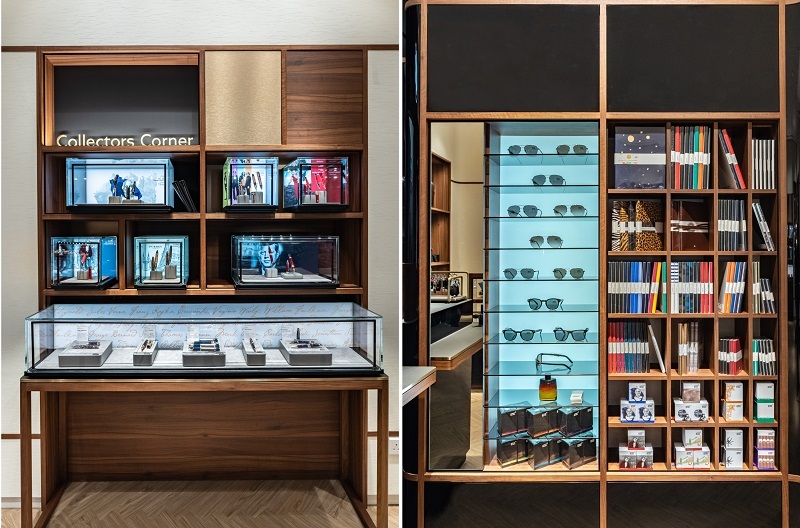 There is also a digital corner, where tech enthusiasts can test the latest Augmented Paper editions, experiencing how the art of writing has been transposed to the digital world, and a Leather Atelier, where customers can browse, feel and smell the fine Italian leather from which Montblanc’s creations are crafted.